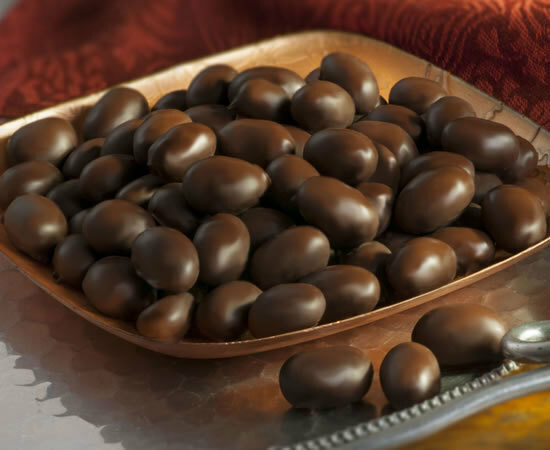 We've taken our famous Handcooked Virginia Peanuts and "double dipped" them in smooth dark chocolate. And just as we thought... a whopping customer favorite! So, indulge! We also have Milk Chocolate Peanuts! I love your Virginia peanuts but to add double dipped dark chocolate to those amazing peanuts makes them so delicious that they practically melt in your mouth. I order these every time they're on sale. I give them as gifts, too. Every one of the people I gift with these nuts always says "Where did you get these heavenly nuts?" What a winner!!!! There is a problem with these. They are addictive!! Next time will order 2 cans at at time because 1 doesn't last!